01:22 Coke or Pepsi? And where is Tom from? Andrea Coscia and Judy Mesler – Thank you for your questions! 03:00 All about her Egg Babies! It’s more than an army! Jim Blaine, Dan Howard, Judy Mesler and many more have all contributed! 22:00 Heather our Pop resident expert! 28:00 Heather gives away a Pop collecting secret! Or two or three! 44:30 Who is the Wallet?? 49:30 Maybe she’ll have another wedding on the Pez Cruise! Tom Zelmers daughter sold it to her! 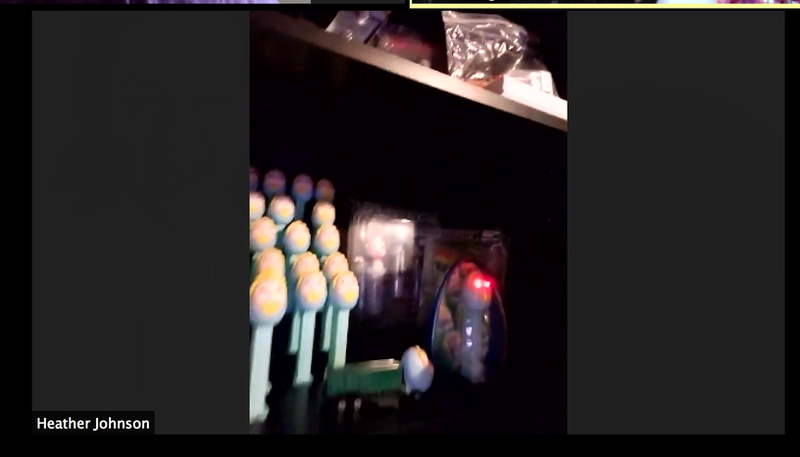 54:30 Pez Collectors are welcome for a visit! 56:50 She got her most wanted item at Pezamania! 1:00:45 What Pop she specifically collects 700 worth! 01:01:48 What Golden Girl Is Thomas? 01:03:44 She shows up at a lot of conventions – What is her advise now? 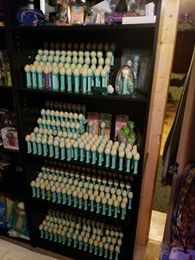 Pez collectors are worth it! 01:05:00 They are busy in their lives together!! Pez community helps their kids! Come and give her a hug if you see her at conventions!